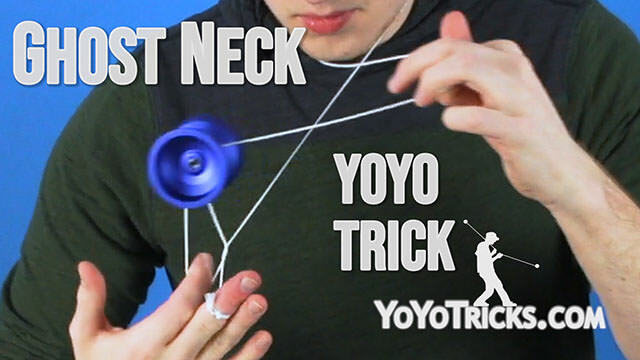 Ghost Neck is a super flashy trick that was created Luna Harran, one of our subscribers on Patreon. 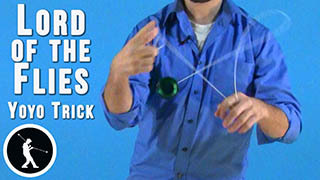 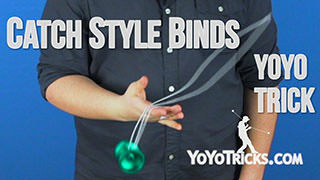 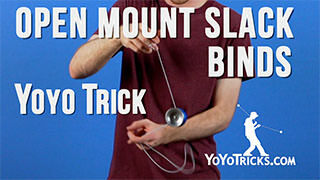 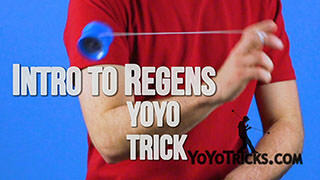 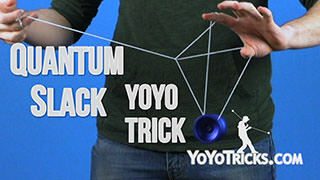 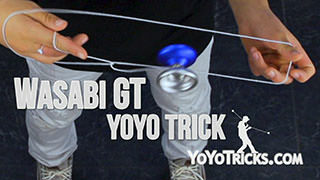 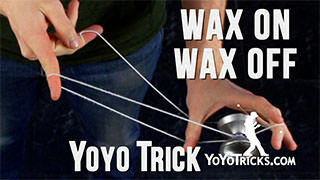 If you want to see one of your tricks on our channel, check out Patreon.com/Yotricks. 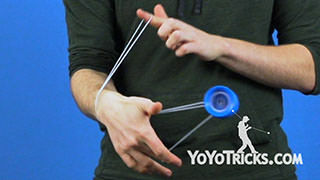 Ghost Neck starts with a Breakaway. 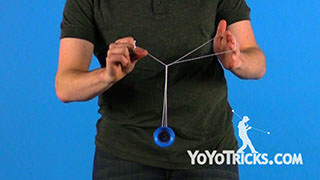 Then we are going to do a couple of pinwheels with the yoyo, just to make sure that we are not putting the string over our neck immediately. 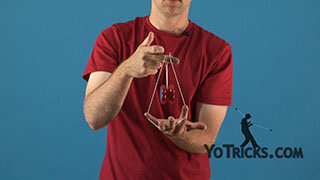 We want to make sure we have some control. 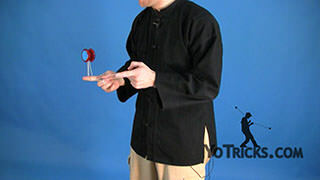 So after you do a couple of pinwheels, go over your neck and then over your throwhand pointer finger. 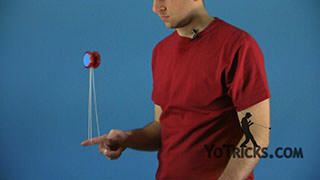 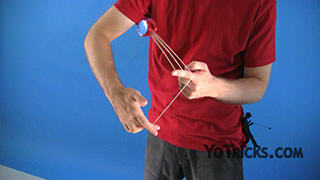 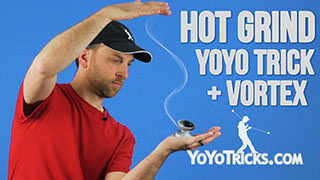 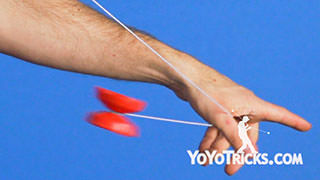 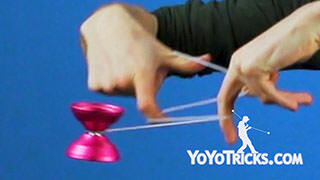 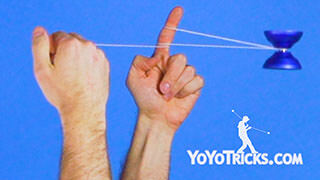 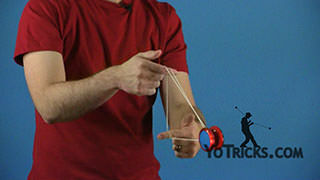 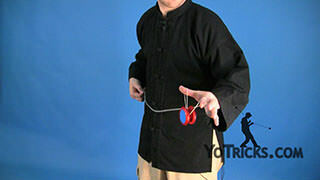 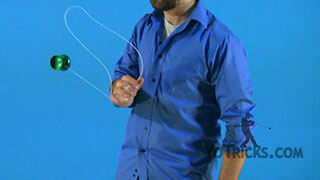 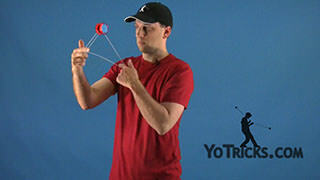 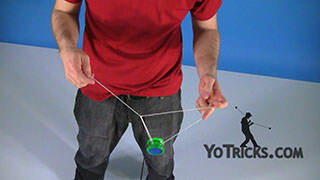 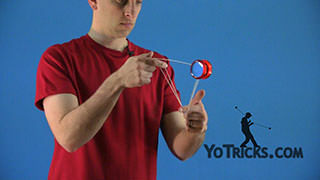 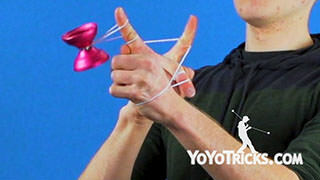 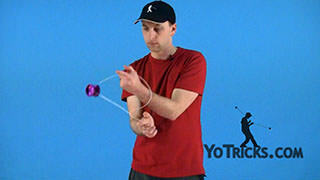 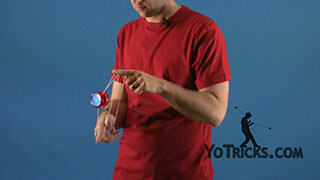 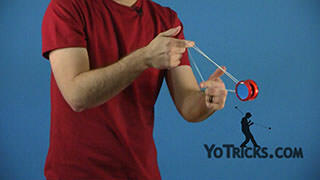 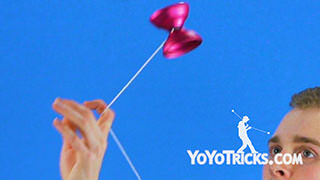 Then land the yoyo over your opposite hand pointer finger, just like this. 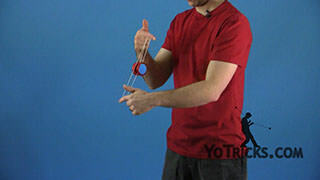 Now, to give you a better idea of what is actually going on here with the string, you will notice that we are actually just in a Houdini Mount, but with the thumb loop around our necks. 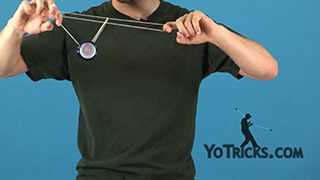 Because we are around our necks, it kind of goes without saying, if you get a knot, don’t turn your real neck into a ghost neck, don’t pull on it, make sure to take the string off of your finger and untie it. 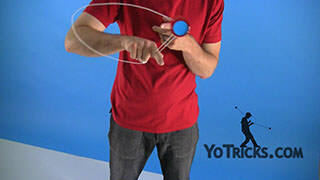 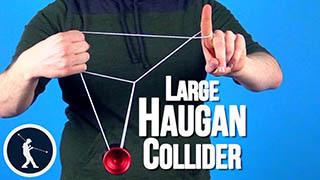 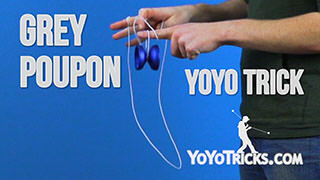 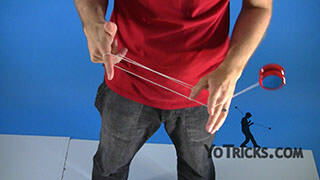 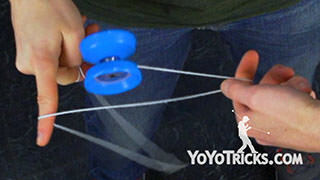 From here, we are going to hop the yoyo off of our opposite hand pointer finger, over our opposite hand middle finger. 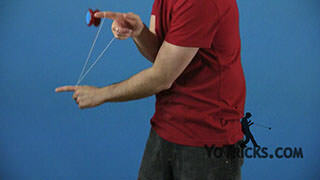 Then we are going to drop the string on our throwhand pointer finger. 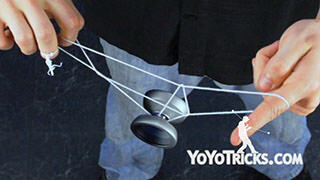 Then we want to swing the yoyo over this string connected to our throwhand finger, land the yoyo back onto the string that it was just on, landing you into this formation. 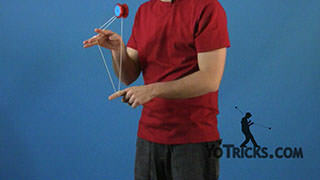 Then hope the yoyo right off, and it is going to be swinging the other way, and while it is swinging in that direction, you want to take your throwhand pointer finger, point it towards yourself, just like this. 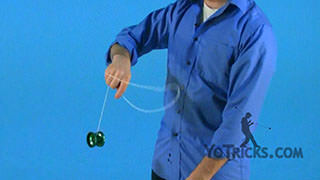 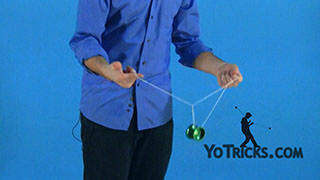 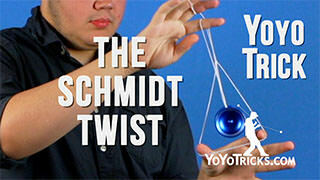 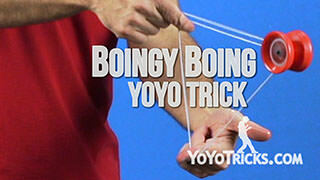 Then swing the yoyo between your hand and your body, just like so. 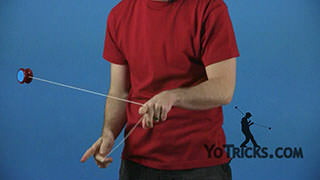 You will see that the string here is going over top of my throwhand pointer finger. 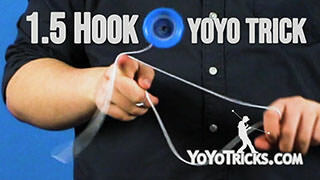 Then I can swing the yoyo over to my throwhand side, hitting the bottom of this string, and going in front of my throwhand, just like this. 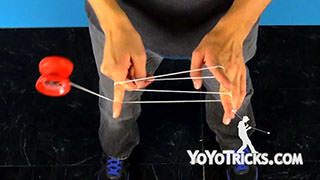 So if I take my opposite hand out, you will see that I am now in a Green Triangle. 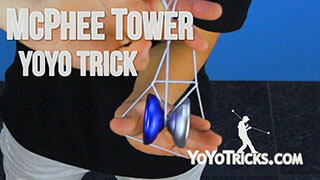 Now, there is an incorrect way of doing this that could happen when you are first learning the trick. 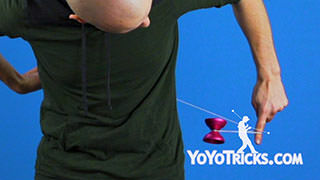 So you really want to make sure not to land the yoyo to the inside or behind your throwhand just like this, so if the yoyo is now in between my body and my throwhand, because that will not work for the next part of the trick. 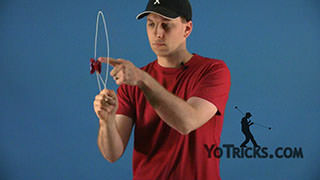 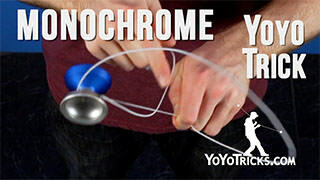 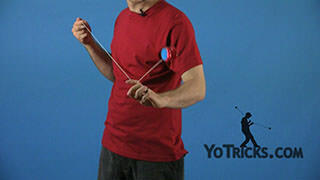 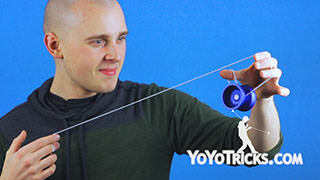 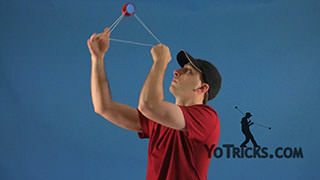 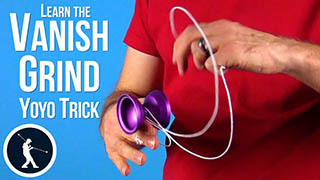 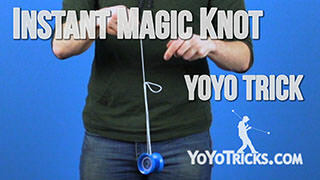 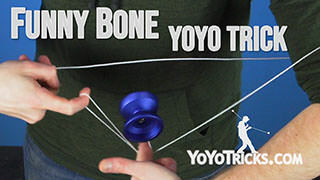 So you really want to make sure to swing the yoyo to the front of your throwhand, and you can tuck your throwarm down as you do that, which makes the trick a little bit easier to hit. 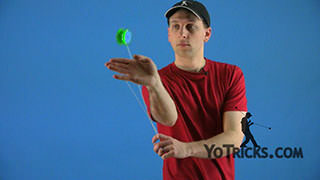 Now, from here you want to take your opposite hand pointer finger, put it into the Green Triangle, swing the yoyo over to your opposite hand side, and drop the yoyo off of the string. 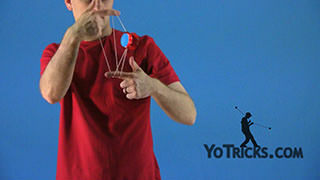 Then you can take your throwhand, pull it towards yourself, then toward your throwhand side, then over towards your opposite hand side, and then bring your hand over your neck on your opposite hand side, just like this. 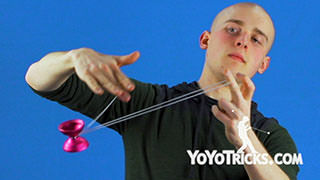 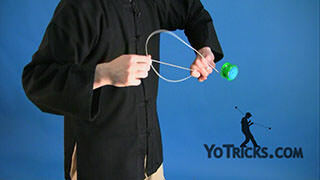 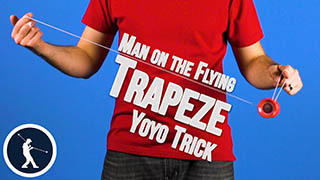 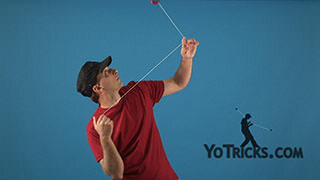 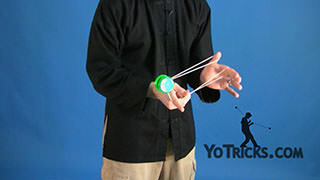 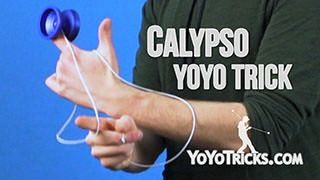 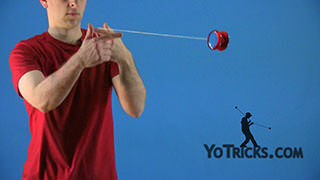 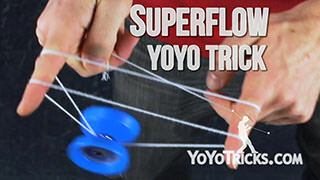 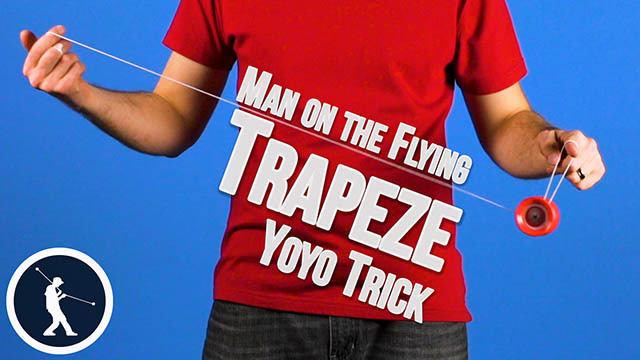 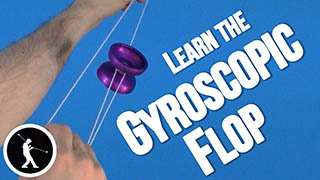 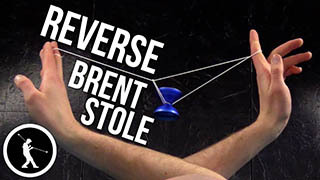 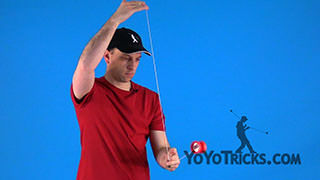 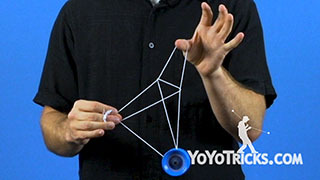 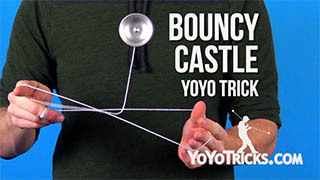 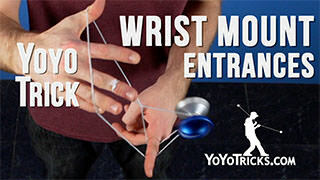 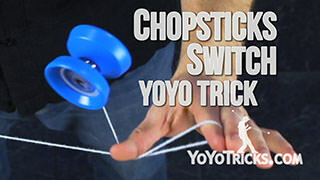 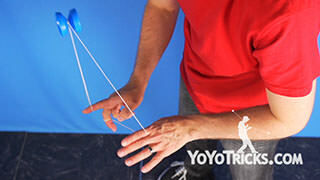 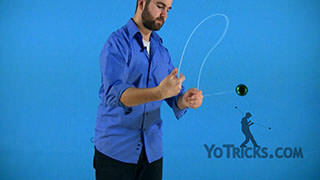 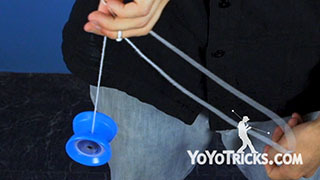 Take your opposite hand and pinch the string right above the yoyo, and just drop this loop on your opposite hand pointer finger, and pull out with your throwhand, stretch the string out for dramatic effect, and you can land the yoyo onto a trapeze, and perform a bind. And that is Ghost Neck.